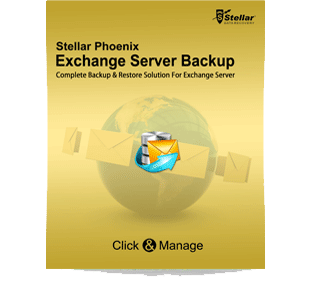 Free tool to backup Exchange Server Mailbox store to counter any disaster situation later. Self-descriptive & user friendly interface to guide user to every step during backup. A complete solution to backup Exchange Server is Exchange Server backup tool, which works smoothly and helps you to recover from disasters that may happen anytime. It is an apt solution for full and incremental backup while allowing taking backup up of the complete Exchange Server or selected mailboxes. Loaded with an array of outstanding features, this software is apt for those who use Exchange server as a base of communication. It helps taking backup on scheduled basis or manually to ensure you always have the latest image in case of disaster. 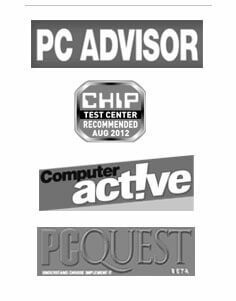 The software comes with several inbuilt options that allow you to choose if you want to take only the Full backup or you want an incremental backup. This is an automated solution, which makes you free once you have configured the required settings. What can be better than this that you do not need to manually initiate backup of Exchange Server as per your requirement. The software comes with backup scheduler that lets you schedule backup on hourly, daily, weekly, or monthly basis. Just schedule the backup and forget it. And, another best option is it comes with an email notification option that informs you about the backups taken, their success, etc. Also, if you need to edit an already configured backup schedule, you can do it without deleting and recreating the current schedule. In case you need to restore the backup data, you have options such as restore single or multiple mailboxes or the complete Exchange server. And, the best part of this software is it continues the backup restoration without disturbing the currently active processes / services. In case of a disaster you can use this feature to get hold on the data from the backup image. Depending upon what you want to restore, you have options to choose either the complete Exchange Server backup or selected mailboxes. Also, you can update the current Exchange database with this backup. This feature works automatically when you schedule backup, restore backup, or when the software automatically process the backup services based on the schedules you have created, backup status, restoration status, and so on. With the help of these Log reports you can keep you updated always. And, there are many options to save these log reports in different formats including html, pdf, txt, and csv. In case, you want to restore PST/MSG/EML, the software allows you to do the same at the user defined location or on Live Exchange Server. This option comes handy in case of disaster recovery. With this option, you can create backup of the operating system volume providing security to the crucial data. And, in times of a disaster, you can use it for recovery. Simplicity of this software is a plus point that lets users execute it easily without being much technical. This software guides users through its self-descriptive interface.